The Relevant Workshop is a place for wedding community members and creative business professionals to come together for a day of inspiration, education, and engagement which will elevate the wedding industry and strive to keep us relevant in our craft. Speaker, Communications & PR Strategist and Host of the Confident Communications Podcast. Molly McPherson helps organizations find the social sweet spot between communications and customer expectations. 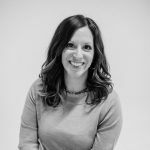 She combines her knowledge of current communication practices with years of news and public relations experience to develop the right plans and messaging for clients to protect and build their reputations. 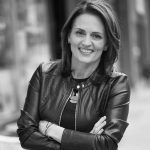 Molly is the host of the Confident Communications podcast and frequently speaks about digital communications, public relations and social media crisis response to executives and organizations. She is firmly grounded in the belief that communicating trust and transparency both online and off is key to an organization’s success in the modern age. Colleen is an attorney and video producer. Her law firm, BezichLaw, serves individuals, small businesses, local government entities and non-profit organizations in the Philadelphia Metro Area and beyond. Colleen’s reputation as a thought leader and arts advocate has led clients from as far as Hawaii and the UK to consult with her on matters such as business start-up, contract matters & intellectual property, and invite her participation in numerous industry conferences- like Relevant! 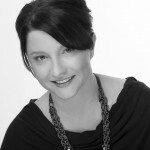 Colleen founded and continues to serve as executive producer & general counsel for three (3) South Jersey-based video production studios, including Five Story Media, which counts the Philadelphia Eagles, American Airlines, the City of Philadelphia, NRG, and Philadelphia Ronald McDonald House among its clients. Although she retired from filming weddings in 2017, Colleen continues to oversee the operations of her two wedding cinema studios: Be Films and Pair of Hearts. Colleen currently resides in Haddonfield, New Jersey, where she serves her community as a member of the Zoning Board, as well as the Celebrations Committee (which plans large-scale civic events for the entire community). She also serves on the Supreme Court of New Jersey’s District Ethics Committee, which investigates allegations of unethical attorney behavior. Her philanthropic efforts include advocacy & fundraising for the Alzheimer’s Association, handling pro bono matters for Philadelphia Volunteer Lawyers for the Arts (PVLA), as well as serving on the Board of LUCY Outreach in Camden, New Jersey. When she isn’t at her desk or behind the scenes on one of her latest productions, Colleen can be found crafting, dancing or reading with her son, Luca; or planning their next family adventure with her husband & business partner, Anthony. 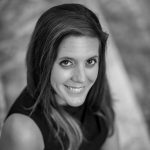 Natalie Pinney is the co-founder & Lead Planner of Whim Events, a full-service wedding planning, design and floral studio in Boston, MA. Together with her business partner Moira Thompson, Natalie founded Whim Events in 2011 and has since designed and planned hundreds of weddings throughout New England. She specializes in joyfully and thoughtfully guiding couples through every stage of the engagement, with streamlined logistics, cohesive design and warm, inviting guest hospitality. Natalie and her team were named 2018’s Best Wedding Planner in Boston by Boston Magazine and recently launched WED in 2019, an immersive one-day experience for couples to learn the transparent ins and outs of wedding planning from seasoned professionals. Natalie is also passionate about uniting local creatives in the community to promote collaboration over competition, and hosts the annual B LIST industry party for Boston creatives, which is in its 4th year. This breakout session will focus on achieving sustainable business growth with your personal goals at the forefront. We will discuss the ins and outs of scaling your creative business including: when, how and why to scale, how to create a role for yourself that allows time for new projects or more free time, learning to overcome scaling challenges, understanding your capabilities as a small business, developing a framework to best assign or outsource tasks/roles to others, and most importantly, having a plan of action that meets with your true intentions. Nadra Edgerley began her career in photography over 18 years ago in northern California after graduating with a bachelor’s degree in Studio Art. Hundreds of weddings and thousands of beautiful moments later, Nadra is not only an accomplished photographer, she is a mentor and business coach to photographers and small business owners. She lives on the coast of southern Maine with her husband and four children. Is your brand working for you or against you? In this breakout session, you’ll identify areas where your brand could be failing to deliver your intended message. We’ll look closely at three top branding concepts: visuals, styling and pricing, and how they impact the success of your business. Identify areas in which your brand could be failing you. Gain clarity on your brand message. Learn what your brand elements communicate to your potential clients. Leah Haydock launched her New England wedding photography business in the middle of one of the worst recessions the US has ever seen. Now in her 12th year of business, Leah runs a highly successful and profitable business with a six-figure income. 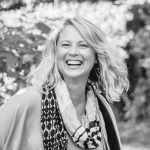 Leah has won multiple international awards for her photography, her work has been widely published and she has spoken at previous Relevant workshops, Inspire, Maine PPG meetings and more. 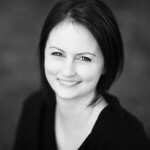 Leah worked in the corporate world of sales and marketing for 10+ years prior to photography and she brings this expertise to the small business world. Elevate your business through flawless client experiences. The wedding industry is hot and crowded with more competition creeping in by the day. Our to-do lists have never been longer – email, blogging, all the hashtags on Instagram, broadcasting live from your car, networking – yet clients seem to constantly expect a cheaper, faster service. To be profitable and sustainable, create a flawless client experience. This session will break down the client journey, the 2 biggest mistakes that kill bookings, new ways to use your current client base to generate new leads, negotiating, discounting and saying no. Lee Germeroth is both a wedding, engagement and creative portrait photographer as well as a digital marketing expert. 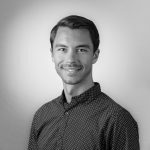 Nearly 10 years ago he launched his photography business, growing that into a sustainable company while simultaneously working at a digital marketing agency. At the beginning of 2016, he left the agency to start his own marketing and creative company to supplement his photography business. Thus Germeroth Consulting & Creative was born. His agency helps small-medium sized businesses with a full suite of marketing services including web design, SEO, social media marketing, email marketing, and marketing automation. He is as equally passionate about capturing memories and serving his wedding clients as he is about helping business owners succeed. Beth Fitzgerald, owner of MaggPress LLC, is an award-winning full-stack web developer. She began her career in journalism and ran a successful photo studio for 15 years. After creating her own web startup, Beth won a Women Who Code scholarship and earned a certification in full stack web development. Beth coaches all-things-online, from social strategy to targeted traffic. Her keynote lectures on tech and digital marketing are fun and engaging. Beth’s business creates websites, apps and digital marketing plans for wedding and tourism businesses. Beth is also a mom, a wife, and a dog-lover. Jennifer Desrosiers is an entrepreneur, wellness and lifestyle coach, yoga teacher, holistic health coach, speaker and community leader. 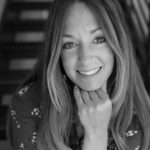 As the founder and CEO of her two businesses, LANEY & LU, an inspired eatery, and Wild Adventurous Life, a wellness and lifestyle media company, Jen has a powerful vision of connection, collaboration, and contribution. Her companies have created thriving communities promoting holistic wellness and living vibrant, joyful, adventure-filled lives. As a native of Vermont, Jennifer attended Vermont Technical College where she earned an undergraduate degree in Architectural Engineering before taking on roles such as Manufacturing Engineer, Project Manager, and Business Development Manager in the plastic injection molding industry, in which she traveled throughout the US and the globe. After nearly 20 years of dedicated service to others’ visions, she refocused her sights on creating personal freedom and positively impacting the world. The Chase Home for Children in Portsmouth, NH and Secretary of the board for Sustainable Seacoast, and has been a featured speaker at local events like Pecha Kucha and Ignite. She enjoys hiking in the mountains, luxurious car camping, French press coffee, and snuggling with her pit bull. Sold out. Put me on the wait list!